1. Nils Carlström was born in 1761 in Östra.Ryd, Öestergötland. General Notes: "Nils was a miller and lived on a farm. His son Carl was a farmer. Nils married Anna Gretha Wallstrand, daughter of Nils Wallstrand and Anna Andersdotter Palmgren, in 1789. Anna was born in 1769 in Norrköpping. 2 F i. Ana Lisa (Elizabeth) Carlström was born in 1790 in Skönberga, Öster. 3 F ii. Lena Carlström was born in 1793 in Skönberga, Öster. 4 F iii. Sophia Charlotte Carlström was born in 1796 in Örtomta, Öster Götlands, Sweden. + 5 M iv. Carl Carlström was born on 17 Aug 1798 in Örtomta, Öster Götlands, Sweden. 6 M v. Nils Petter Carlström was born in 1800 in Örtomta, Öster Götlands, Sweden. 7 M vi. Frederick Carlström was born in 1802 in Örtomta, Öster Götlands, Sweden. 8 F vii. Lovisa Carlström was born in 1804 in Örtomta, Öster Götlands, Sweden. 5. Carl Carlström was born on 17 Aug 1798 in Örtomta, Öster Götlands, Sweden. General Notes: Carl was working/living, as a miller, in Gärdserum Partish, Kalmar Co. when they married, moving to Åtvid Parish in 1825. In 1828 they moved to Tryserum Parish in Kalmar. Lots and lots of moves! Carl married Anne Stina Lybeck, daughter of Johannes Lybeck and Brita Cajsa Lindstadius, on 28 Nov 1824 in Drothem Parish, Norway. Anne was born on 15 Sep 1805 in Krokek, Käreholm, Sweden, was christened on 16 Sep 1805 in krokek, Östergötland, Sweden, and died on 16 Jul 1838 in Rönö, Östergötland, Sweden at age 32. Other names for Anne were Libeck, Lybäk, and Anna Christian Lybeck. 9 F i. Catherine Maria Carlström was born on 22 Feb 1827 in Krokek, Käreholm, Sweden. 10 M ii. Carl August Carlström was born on 21 Jan 1831 in Börrum. 11 M iii. Johan Philip Carlström was born on 29 Sep 1833 in Skältvik, Östergötland, Sweden and died on 19 Jan 1834. + 12 M iv. 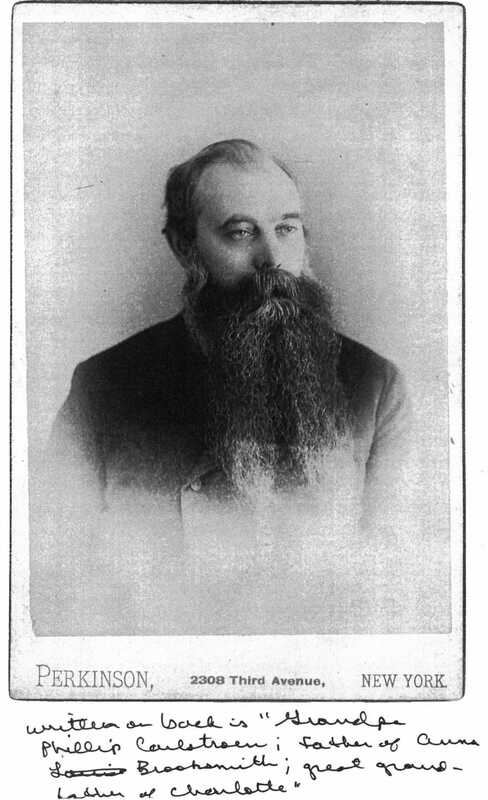 Per Philip Carlström was born on 18 Dec 1834 in Rönö, Östergötland, Sweden and died Between 1907 possibly June in NY or NJ. 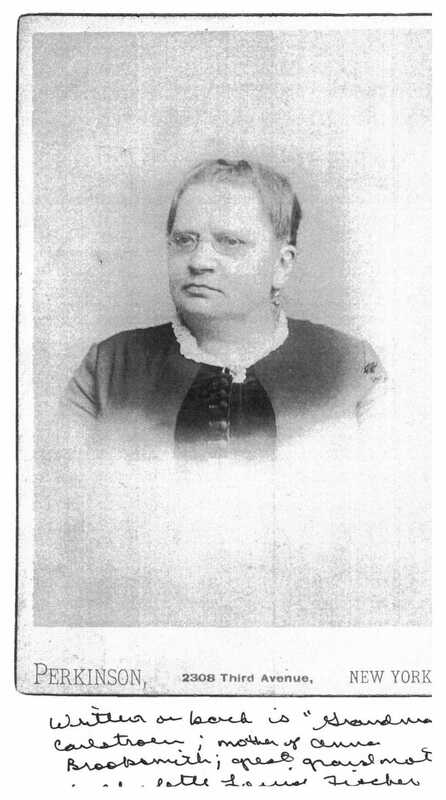 13 F v. Emma Christina Carlström was born on 5 Apr 1837 in Rönö, Östergötland, Sweden and died on 29 Apr 1837. 12. Per Philip Carlström was born on 18 Dec 1834 in Rönö, Östergötland, Sweden and died Between 1907 possibly June in NY or NJ. Another name for Per was Petr Philip, Peer Philip, Peter Philip, Carl Philip. General Notes: Moved to Oslos, then to New York in 1867 with Carl August. Arrived NY Oct 1, 1867 abord the "City of Antwerp." I should have been more thorough on the 1880-1890-1900 Swedish censuses. Only the Swedes would do what apparentl;y these records for Per Filip Carlström are. The residence given is "Qvarstående obefintliga". When I finally looked this up it means "missing persons". I suppose Per Filip was in Sankt Olai Parish Norrköping sometime before going to Norway, but left without getting his "moving out" cerftificate. Rather than writing him off, they just kept listing him as missing. Sorry to have misled you yesterday. Still searching for info. Per married Nicoline "Nicka" Petrine Magdalene Fick, daughter of Johan Christian Fick and Martha Dorthea Blackstad, on 10 Mar 1860 in Oslo, Akershus, Norway. Nicoline was born on 8 Dec 1828 in Christiana, , , Norway and was christened on 27 Feb 1829 in Trondheim Sor-Tréøndelag, Norway. + 14 F i. Nicoline "Aunt Nick" Carlstroem was born on 17 Sep 1861 in Christinia, Norway and died on 5 Aug 1943 in Orange, New Jersey at age 81. + 15 M ii. 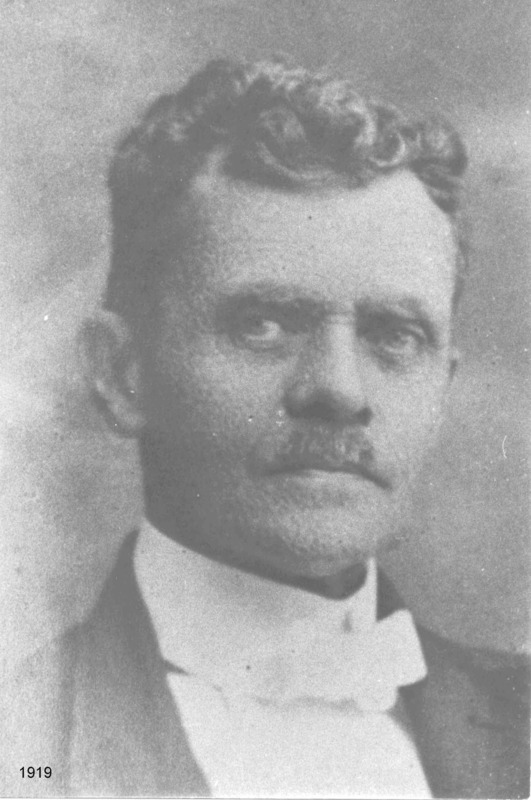 Philip Per Carlstroem Jr. was born on 9 Nov 1863 in Christiania, Norway and died on 16 Feb 1921 in Port-Au-Prince, Haiti at age 57. + 16 F iii. Christina Dorita "Aunt Kate" Carlstroem was born on 3 Nov 1865 in Christiana, Norway. + 17 F iv. Anna Louise Carlstroem was born on 21 May 1867 in Christiana, , , Norway, died in Jul 1903 at age 36, and was buried on 22 Jul 1903 in Cleveland, Ohio. 18 M v. Oscar Carlstroem was born in 1869 in Manhattan, NY. 14. Nicoline "Aunt Nick" Carlstroem was born on 17 Sep 1861 in Christinia, Norway and died on 5 Aug 1943 in Orange, New Jersey at age 81. Nicoline married John Carl Bendler, son of Carl Bendler and Wilhelmina Holzapfel, on 6 May 1882 in New York, New York. John was born on 4 Nov 1851 in , , , Germany and died on 9 Jan 1922 at age 70. Marriage Notes: Married in the presence of the mayor of New York. Witnesses were: Ad. Berger, Julius Zumsich, Philip Carlstroem, Sr. and C.A. Carlstroem. 19 F i. Nicolina Bendler was born on 19 Mar 1883 in 325 E. 82 Street, Manhattan, New York and died on 22 Aug 1890 in 1025 Boston Ave, New York, NY at age 7. 20 F ii. Wanda Bendler was born on 11 Aug 1884 in 406 E. 77Th St, 19Th Ward and died on 17 Aug 1884 in 406 E. 77Th St, 19Th Ward. 21 F iii. Norma Bendler was born on 9 Sep 1885 and died on 23 Nov 1885. 22 F iv. Norma Bendler was born on 23 Sep 1886 and died on 13 Sep 1890 at age 3. 23 M v. Philip Bendler was born on 29 Oct 1888 and died in Jul 1972 in Belmar, Monmouth, NJ at age 83. Philip married Anna in Mar 1971 in Belmar, Monmouth, NJ. Anna was born on 15 Oct 1895. + 24 F vi. Jeanette (Jean) Bendler was born on 19 Jul 1890 in Manhattan, New York and died on 23 Jun 1951 at age 60. + 25 F vii. Charlotte Bendler was born on 5 Apr 1892 in Manhattan, New York and died in Oct 1960 in Michigan at age 68. + 26 M viii. John Carl Jr. Bendler was born on 29 Jan 1895 and died in Aug 1969 in Jeffersonville, NY at age 74. 27 M ix. Richard Bendler was born on 31 Jul 1896 in 27 Crotona Place, New York, NY and died on 24 Aug 1896. 28 M x. Wilhelm Bendler was born on 5 Oct 1897 in 155 E 54Th St and died on 31 Jul 1898. 29 M xi. Feodore (Theodore) "Teddy" Bendler was born on 30 Mar 1899 and died on 19 May 1992 in Floral Park, Nassau County, New York at age 93. 30 U xii. Unknown Bendler was born in 1901. 31 M xiii. Louis Bendler was born on 16 Oct 1903 and died in Jan 1986 in Seasice Park, New Jersey at age 82. 32 M xiv. Harold "Harry" Bendler was born on 6 Feb 1906 in Bronx, New York and died in Nov 1971 in Boston, Suffolk Co, MA at age 65. 15. Philip Per Carlstroem Jr. was born on 9 Nov 1863 in Christiania, Norway and died on 16 Feb 1921 in Port-Au-Prince, Haiti at age 57. Other names for Philip were Carl Philip and Peter Philip. Death Notes: "He had told the doctor that he had appendicitis, but the doctor refused to believe it. When the appendix ruptured, grandfather told him so and watch(ed) himself dying. He is buried in the family tomb in Port-au-Prince, Haiti. According to ship he was born in 1865 but church records in Olso indicate 1863. They Lived at 117 Orchard Street in NYC, where Oscar was born in 1869. Then they moved a couple of time until they settled on Broome Street not far from the Browery. He went to school with his sisters then worked as a cigar packer. In 1895 he rejoined Harry Greger, his sister Christina's brother-in-law, who had established himself as a tailor. There he met Maria Rose (Luisa) Emma Deetjen. Philip married Maria Rose Emma Deetjen, daughter of Alfredo Deetjen Merecette and Rose Amelia (Roselia) Heureux-Dominguez, between 1895 and 1898 in Port-Au-Prince, Haiti. Maria was born on 19 Dec 1870 in Puerto Plata, , , Dominican Rep, died on 23 Apr 1961 in Port-Au-Prince, , , Haiti at age 90, and was buried in Port-Au-Prince, , , Haiti. 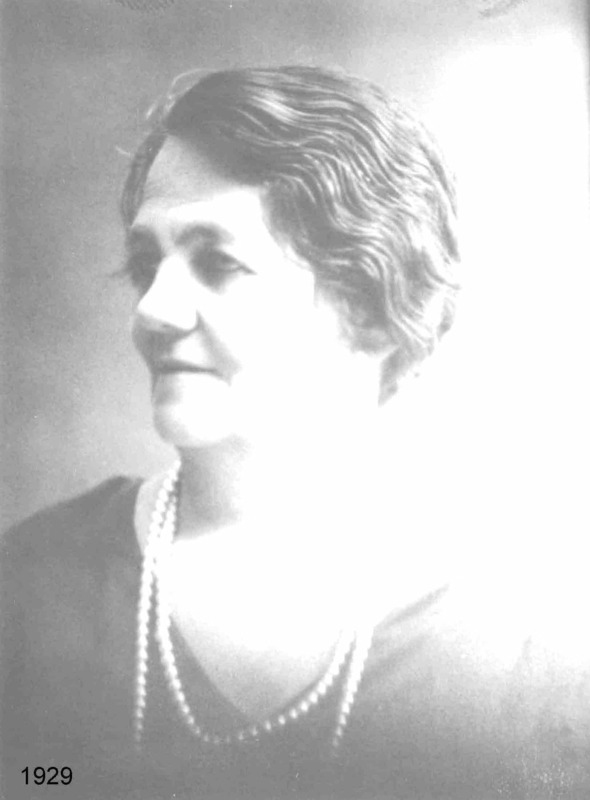 Another name for Maria was María Luisa Ema (Emma) Deetjen Heureaux. + 33 F i. Maria Rose Hilda Carlstroem was born on 17 Aug 1899 in Port-Au-Prince, Haiti, died on 14 Aug 1969 in Port-Au-Prince, Haiti at age 69, and was buried in Port-Au-Prince, Haiti. 34 F ii. Anna Louise "Loulouse" Marraine" Carlstroem was born on 3 Mar 1901 in Port-Au-Prince, Haiti, died on 6 Jun 1973 in Port-Au-Prince, Musseau, Haiti at age 72, and was buried in Port-Au-Prince, Haiti. Anna married Bjorn Aggerholm about 1919 in Port-Au-Prince, , , Haiti. Bjorn was born in Denmark. 35 F iii. Nicoline Thèrése Christine "Titine" "Nénène" Carlstroem "Titine" was born on 11 Oct 1902 in Port-Au-Prince, Haiti and died on 14 Dec 1989 in Port-Au-Prince, Haiti at age 87. Christine married Pierre In the 1920's. 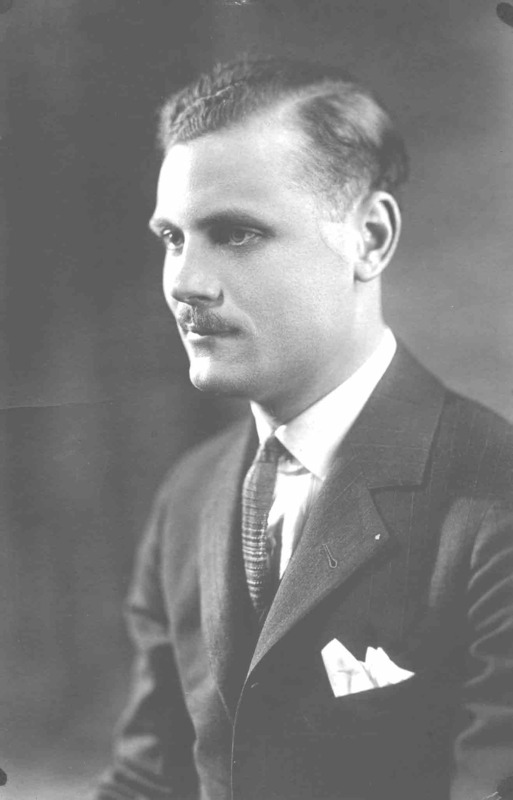 Pierre was born on 16 Apr 1893 in Vaud, Switzerland and died on 27 Jan 1940 in Pétion-Ville, Haiti at age 46. Nicoline next married Ernest Mueller on 3 Oct 1951 in NY. Ernest was born in 1881 and died on 31 May 1956 at age 75. + 36 M iv. Philip Alfred Carlstroem was born on 31 May 1904 in Port-Au-Prince, Haiti, died on 29 Nov 1978 in Citrus Heights, California at age 74, and was buried in Citrus Heights, California. + 37 M v. Charles York Joseph "Charlie" Charly" Carlstroem was born on 29 Sep 1905 in Port-Au-Prince, Haiti and died on 11 Jan 1983 in Los Angeles, CA at age 77. + 38 M vi. Robert Henry "Bob" Carlstroem was born on 23 Aug 1913 in Port-Au-Prince, , , Haiti and died on 1 Feb 1996 in Port-Au-Prince, , , Haiti at age 82. 16. Christina Dorita "Aunt Kate" Carlstroem was born on 3 Nov 1865 in Christiana, Norway. Listed in 1928 at her son George's wedding as Christine Christensen yet 1930 Census indicates living with husband Niels Greger in Rutherford and her son George D. is listed as living with them. Was a Christian Scientist. She broke her arm and refused to go to the hospital. However, her husband forced her with the help of the police and she had her arm set properly. Aunt Kate moved to Rutherford, New Jersey in the late twenties. Christina married Niels Winther Greger, son of Rasmus Greger and Anne Dryer, on 25 Feb 1888 in New York. Niels was born in 1854 in , Norway. 39 F i. Christiana A.N. "Christie" Greger was born on 22 Jan 1889 in 1497 3Rd Ave, New York. Christiana married Bill ? Waltman. 40 M ii. Hendrick/Kendrick Greger was born on 23 Aug 1892 and died in Mar 1968 in Craryville, New York at age 75. 41 M iii. Niels Winther Greger Jr. was born on 23 Aug 1896 in 29 Crotona Place, New York. 42 M iv. George D. Greger was born on 19 Aug 1898 in New York, , NY and died in Dec 1982 in Sun City, AZ at age 84. George married Else F. Bostelman on 21 Feb 1928. Else was born 23 ot 1903 in lyndhurst, NJ and died in Oct 1994 in Phoenix, AZ. 43 F v. Laura Greger was born on 18 Nov 1900 in Jersey City Heights, NJ and died on 9 Dec 1900 in Jersey City Heights, NJ. Christina next married William "Bill" Christensen about 1928. 17. Anna Louise Carlstroem was born on 21 May 1867 in Christiana, , , Norway, died in Jul 1903 at age 36, and was buried on 22 Jul 1903 in Cleveland, Ohio. P. Philip Carlstroem, John Carl Bendler were witnesses. Paula Trumble gave me your name and email address (she is BobTrumble's sister). The only things we know about Anna Louise is that she was born in 1867in Norway, married Edward Brooksmith in New York in 1885 (we have acopy of the marriage certificate and the witnesses were J. CarlBendler, P. Philip Carlstroem and C.A. Carlstroem) and that she diedin July of 1903 in Cleveland, OH. She and Edward had three children,Philip, John and Edna (boys named after each grandfather and Endaafter Edward). Do you by chance have any more information on Anna Louise than I havelisted above, or any corrections? Also by any chance any photographsof Anna Louise? Anna married Edward Brooksmith, son of John Brooksmith and Fredericka Eilenberg, on 29 Aug 1885 in New York, , NY. Edward was born in 1860 in Cleveland, Ohio. 44 M i. Philip Brooksmith was born on 13 Jul 1893 in Cleveland, Ohio and died in Aug 1978 in Ohio at age 85. Philip married Nina W. Nina was born on 3 Feb 1890 and died in May 1991 in Millerburg, OH at age 101. 45 M ii. John Brooksmith was born on 22 Mar 1891 in Cleveland, Ohio and died in 1973 in Indiana at age 82. + 46 F iii. Enda Viola Brooksmith was born on 25 Sep 1895 in Cleveland, Ohio and died in Dec 1988 at age 93. 24. Jeanette (Jean) Bendler was born on 19 Jul 1890 in Manhattan, New York and died on 23 Jun 1951 at age 60. The cause of her death was Peritonitis caused by a ruptured appendix. Death Notes: Died of peritonitis caused by a ruptured appendix. As a Christian Scientist believer, she refused to see a doctor or go to the hospital. About 1932 she moved to Mount Vernon, NY, where she had a large house. She rented rooms to supplient her income. Her mother and her brothers often visited her. Jeanette married Albert Charles Bergmann, son of Charles Bergmann and Emma Koehne, on 15 Oct 1910 in St Peter's Luthern Church, 132 E 54Th St. NYC. Albert was born on 11 Dec 1889, died on 6 Aug 1932 in Manhattan, New York at age 42, and was buried in Bronx, New York. 47 F i. Florence Bergmann was born about 1912 in Manhattan, New York and died after 1956. Florence married Jim McNally in Manhattan, New York. 48 M ii. Tom Bergmann was born in 1916 in New York, , NY. 25. Charlotte Bendler was born on 5 Apr 1892 in Manhattan, New York and died in Oct 1960 in Michigan at age 68. Charlotte married John Thomas Trumble, son of Jackson Trumble and Lucy Stockford, on 28 Sep 1918 in Manhattan, New York. John was born on 25 Sep 1880 and died in Oct 1960 at age 80. 49 F i. Marjorie Helen Trumble was born on 2 Sep 1919 and died on 15 Nov 1991 at age 72. Living married Elizabeth Gidilewich. Elizabeth was born on 17 Jan 1928 and died on 15 Dec 1996 at age 68. Living married Fred Whaley. Fred died in 2002. 26. John Carl Jr. Bendler was born on 29 Jan 1895 and died in Aug 1969 in Jeffersonville, NY at age 74. John married Helen M. Dietshe, daughter of Max Dietshe and Johanna Pech, on 9 Jun 1917. Helen was born in 1895 in New York, NY. 53 M i. Albert Bendler was born in 1919. 33. Maria Rose Hilda Carlstroem was born on 17 Aug 1899 in Port-Au-Prince, Haiti, died on 14 Aug 1969 in Port-Au-Prince, Haiti at age 69, and was buried in Port-Au-Prince, Haiti. Maria married Gustav Adolf "Grumpi" Gilg, son of Karl Gilg and Anna Steiner, on 4 Jan 1919. Gustav was born on 16 Jan 1892 in Winterthur, died on 13 Sep 1969 in Port-Au-Prince, Haiti at age 77, and was buried in Port-Au-Prince, , , Haiti. Living married Salvatore "Sal" Sparacino. Salvatore was born on 20 Jan 1921 in Brooklyn, New York, died on 19 Jan 1993 in Mount Sinai Hospital, Manhattan, , New York at age 71, and was buried in Paramus, New Jersey. 55 F ii. 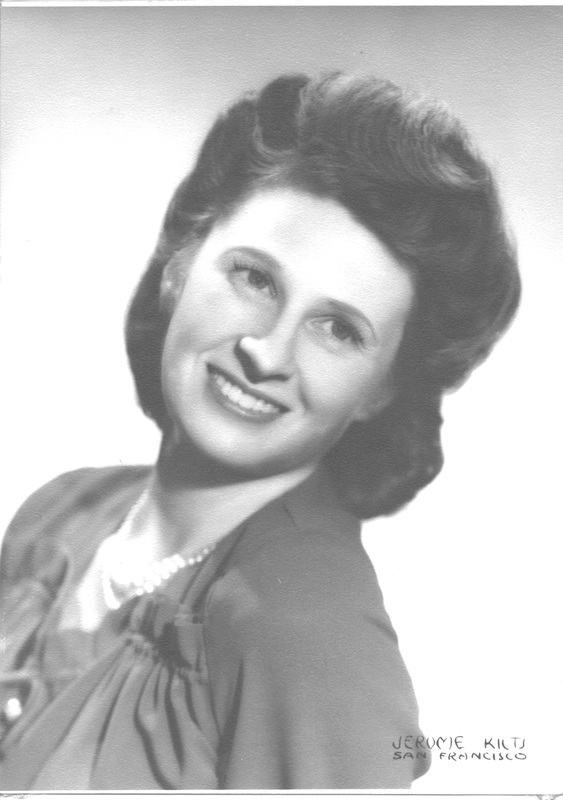 Florence "Fofo" Hilda Gilg was born on 25 Mar 1921 in Port-Au-Prince, Haiti, died on 28 Oct 1996 in St Gall, Switzerland at age 75, and was buried in Thalwil, Switzerlan. 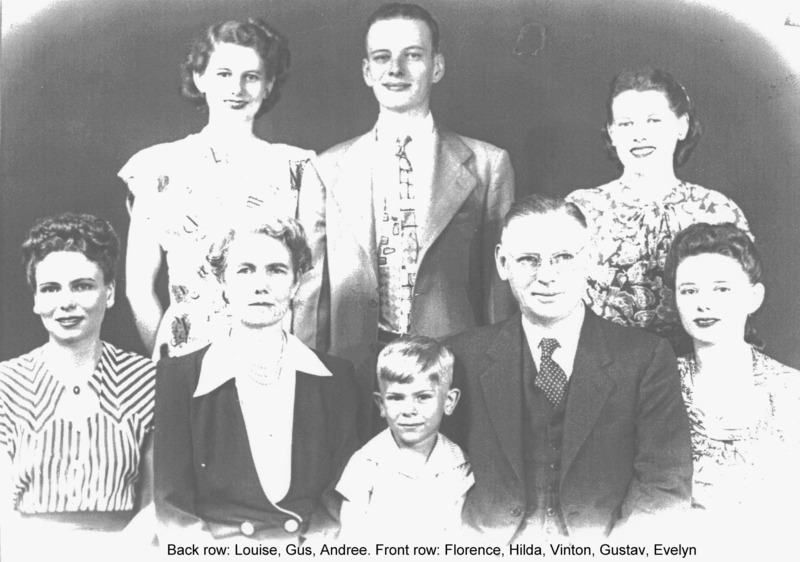 Florence married Guy David Morin on 2 May 1942 in Port-Au-Prince, , , Haiti. Guy was born on 4 Sep 1919 in Lewiston, Maine and died on 29 Aug 1999 in Tucson, Arizona at age 79. Marriage Notes: American Chapel, General Hopital by Father Smith. Florence next married Herman "Manni" Adolph Zwahlen. Herman was born on 16 Jun 1905 in Busswill (Bern) Switzerland and died on 24 Dec 1963 in Zurich, Switzerland at age 58. 56 F iii. Louise "Beb" Anna Gilg was born on 7 Jul 1923 in Port-Au-Prince, Haiti. 36. Philip Alfred Carlstroem was born on 31 May 1904 in Port-Au-Prince, Haiti, died on 29 Nov 1978 in Citrus Heights, California at age 74, and was buried in Citrus Heights, California. Death Notes: Self inflicted wound following a bout of depression after a stroke. General Notes: Death by self-inflicted gunshot. Philip next married Emily Edith Bailey, daughter of Irving Rattan Bailey and Lottie Lois Sherman, on 26 May 1934 in San Francisco. Emily was born on 24 Apr 1910 in Pinole, CA and died on 30 Nov 2000 in Carmichael, California at age 90. 60 M ii. Robert Irving "Bob" Carlstroem "Robin" was born on 13 Apr 1945 in Oakland, California. Robert married Barbara Jean Byrd, daughter of John Lindy Byrd and Billie Kirby. Barbara was born on 26 Feb 1948 in Marysville, CA. Philip next married Margaret Lauderdale. Margaret was born on 28 Nov 1906 and died on 23 Apr 1999 in Baltimore, MD at age 92. 37. Charles York Joseph "Charlie" Charly" Carlstroem was born on 29 Sep 1905 in Port-Au-Prince, Haiti and died on 11 Jan 1983 in Los Angeles, CA at age 77. Charles married Alice Jane Dye, daughter of Gustavus Frederick Dye and Elizabeth Knapp, in Jun 1920. Alice was born on 1 Jun 1898 and died in Nov 1978 at age 80. 61 F i. Mary Andrée Carlstroem was born on 19 May 1930 and died on 11 Sep 2007 in Los Angeles at age 77. Charles next married Mary Wood Ferrari. Charles next married Ines Wages. 38. Robert Henry "Bob" Carlstroem was born on 23 Aug 1913 in Port-Au-Prince, , , Haiti and died on 1 Feb 1996 in Port-Au-Prince, , , Haiti at age 82. Death Notes: aortic aneurysm and kidney failure. Burial Notes: He was cremated and his ashes buried in the family plot in Port-au-Prince. Robert married Clara Gardere. Clara was born on 27 Oct 1912, died on 2 Jul 1975 at age 62, and was buried in Port-Au-Prince, , , Haiti. 63 F i. Marie-Thérèse Christine Carlstroem was born in 1943 and died in 1943. Living married Francisco Carias. 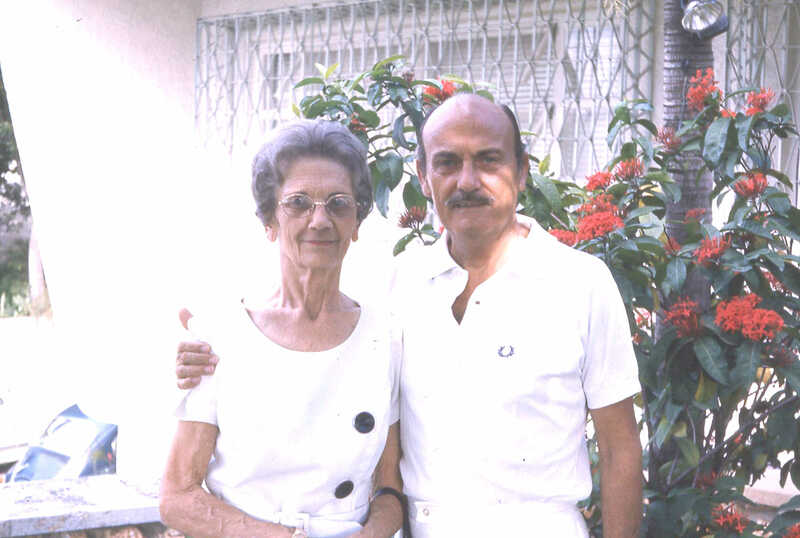 Francisco was born on 16 Jul 1927 in , Dominican Rep.
46. Enda Viola Brooksmith was born on 25 Sep 1895 in Cleveland, Ohio and died in Dec 1988 at age 93. Enda married Henry Brock Fischer on 29 May 1925 in Cuyahoga County, Ohio. 65 F i. Charlotte Louise Fischer . Charlotte married Earl B. Anderson.